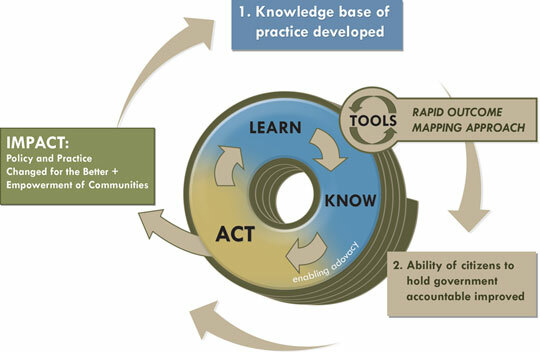 TNRF’s core strategic program is known as Learn, Know, Act! Watch the details of the strategy. Learn, know, Act! 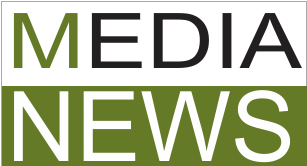 - TNRF’s core strategic program is known as Learn, Know, Act! 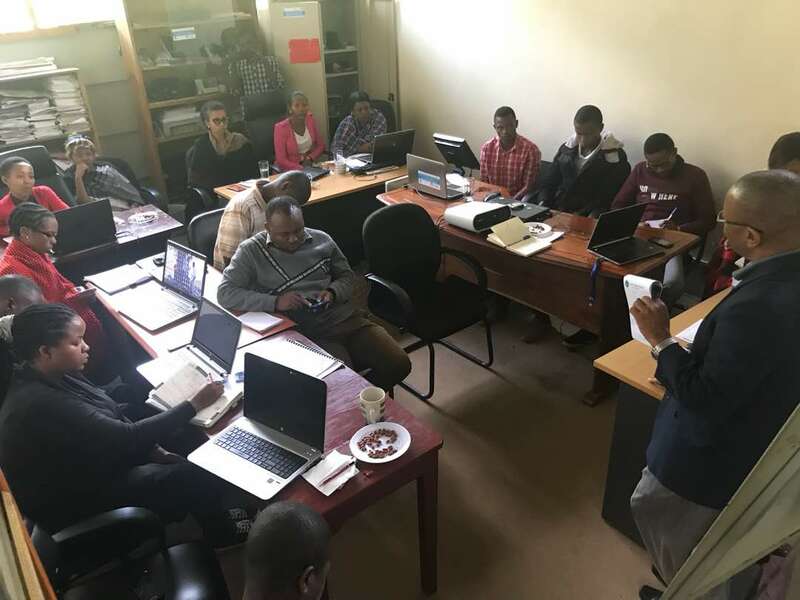 It is an initiative to operationalize TNRF’s 2012-2016 organizational strategy, which aims to bring about citizen-driven changes in policy and practice for achieving more effective, efficient and equitable sustainable natural resources management. Below are the Learn, Know, Act! (LKA!) 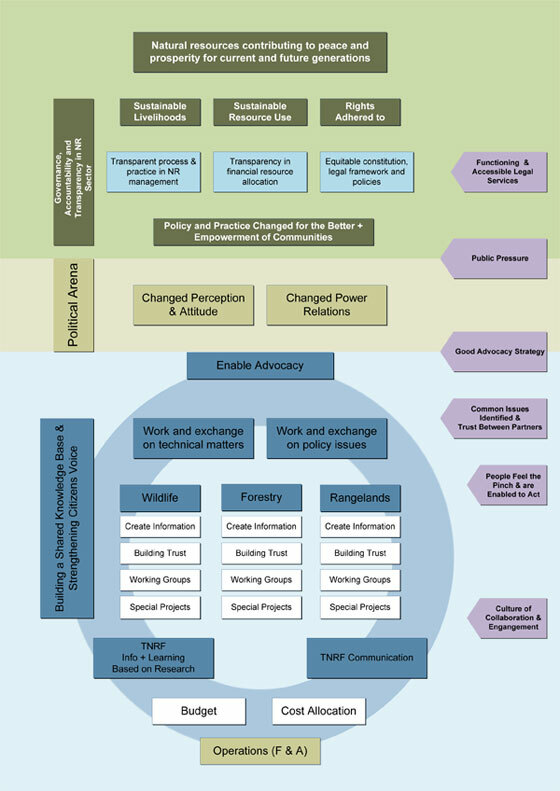 Diagram and the Logic Model, which both illustrate the processes in which TNRF operates and engages in natural resource governance. The two are intricately linked, showing the same functions, but in different formats. For example, the LKA! Diagram is more of an overview of TNRF’s role and area of engagement, whereas the Logic Model provides a more detailed look into the approach TNRF uses. The colors used in each help to demonstrate the link between these two illustrations.